Fabrication | John Sakash Company Inc.
Whatever you need to lift, the John Sakash Company can make it happen. 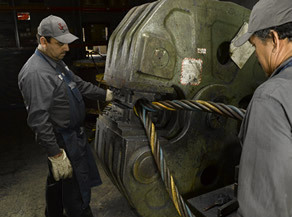 With swaging presses ranging from 135 to 1,200 tons, we fabricate wire rope assemblies up to 21/2 inches in diameter. 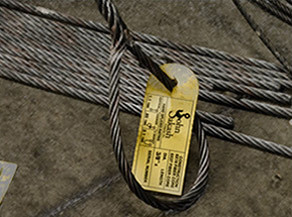 Our two 250,000 pound pull test machines can confirm the quality and integrity of every sling and assembly. 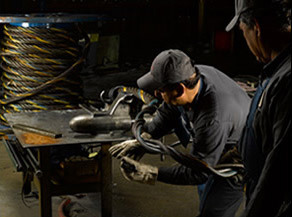 Our skilled craftsmen include experts who can fabricate virtually any conceivable lifting sling. Our people love custom applications. Talk to one of our experienced salespeople about your application. We will build what you need.